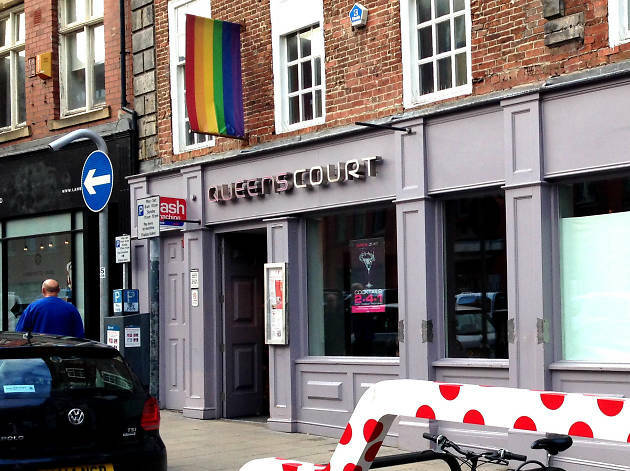 Over the road from The Viaduct is Queens Court, serving a relaxed atmosphere as well as tasty meals and light bites. 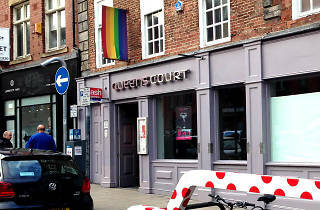 Queens Court (or QC to the locals) has fantastic early evening drinks deals (2 for 1 on everything bar champagne, boo!) so can be very busy, especially at the weekends. This is a great bar for early evening drinks with friends and boasts a large courtyard area which is fantastic for summer pints. If you are a heady clubber make sure you check out the legendary courtyard parties in conjunction with Fibre, that take place on bank holidays. The crowd is a mix of ages and predominately gay during the week, whilst at weekends it is very mixed and can be very busy until the drinks offers finish. For those of us who like to welcome the week in with a feisty celebration they hold their weekly Pink Pounder event with the outrageous Miss Orry every Monday from 9pm, shots are only a pound and select other drinks are only £1.50. Now that’s certainly one way to eradicate those Monday blues!